The regional AGM will be held at 6:00pm prompt. This will be followed by a complimentary buffet available from 6:30pm and a presentation from guest speaker Jamie Shackleton from Interface. The winner of the competition will then be announced followed by presentations to 50-year members. 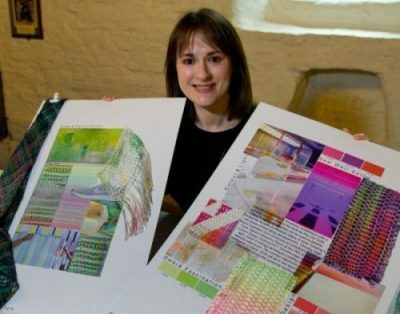 Jamie Hannah Shackleton is a Designer, Trend Forecaster and Material Researcher. In 2017 she graduated from Leeds Arts University with a First Class Honours degree in Printed Textiles and Surface Pattern Design. Jamie is currently working as a Product Designer within the flooring industry where her personal interests in advanced technology, future wellness, and sustainable practice play a huge role in her design work. Jamie will be discussing her transition from university to working life and introducing us to her current role at Interface.